Pseudoplocephalus has a new home! WELCOME! Over the many years I’ve spent thinking about ankylosaurs, I’ve amassed a not insubstantial collection of ankylosaur stuff. And one of the things that I’ve noticed is that when ankylosaurids are shown wielding their tail clubs as weapons, they are almost always fighting some kind of tyrannosaur (but usually Tyrannosaurus, of course). 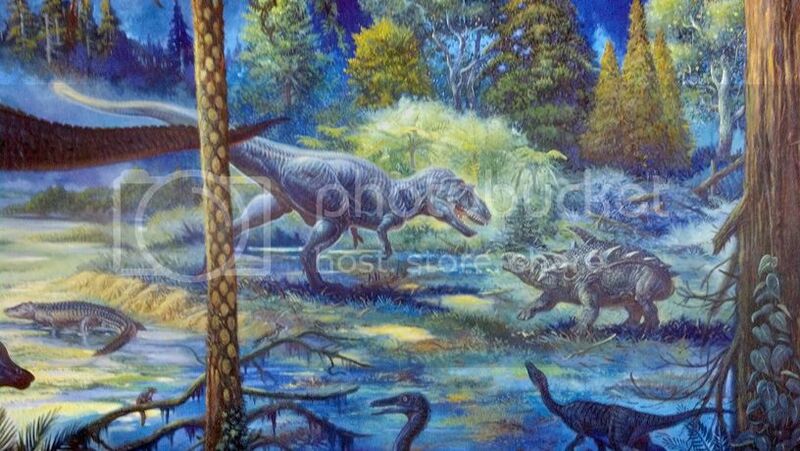 Are there any illustrations that show ankylosaurids fighting anything different? Back in January I asked my Facebook friends and Twitter followers to look in their homes for ankylosaurs fighting things and to let me know what they found, and now, blog readers, I am asking the same of you! Find some ankylosaurs fighting something and either tweet it to me (@VictoriaArbour) or leave a comment below! Here’s what the preliminary results from my January request look like! (And yes, there was one example of an ankylosaurid tail clubbing a human.) The data I get from all of you will help me develop hypotheses for better understanding the selective pressures that led to the evolution of tail weaponry in ankylosaurs. Have at it! Hi Victoria, I was asked by a friend to draw an Ankylosaurus fighting a pterodactyl. So we have Quetzalcoatlus northropi and Ankylosaurus magniventris by Matthew Haynes, circa October 2013. I unfortunately do not have the illustration in my possession anymore, however. That’s the best card in the whole set! Like most kids who spent much of Grade School (and honestly most of College) drawing prehistoric creatures, I have an ankylosaur combat drawing. Though I drew it back in 7th Grade (~2008) and I was surprised to find I haven’t drawn any others. Either way it was between an Acrocanthosaurus and a Priconodon, which I realize is a dubious Nodosaurid. An odd subject for my only Ankylosaur fight sketch. Well I wish you luck in your research and hope you have a productive season! A while ago, I made a few small doodles of ankylosaurs fighting each other. It’s not much and likely amateurish, but would you be interested in seeing one? And come to think of it, I remember a chapter in Bob Bakker’s Raptor Red depicting Gastonia battling each other for mating rights. I haven’t seen any attempts to illustrate that yet, which kind of surprises me. These are great, thanks so much for sharing them! We assume the tail is for defence against predators. Is it possible that ankylosaurs used their clubbed tails against each other for dominance in the mating season, much like stags use their antlers? The one problem with this is I would expect sexual dimorphism, with females having smaller clubs or no clubs at all (just as only male deer have antlers). 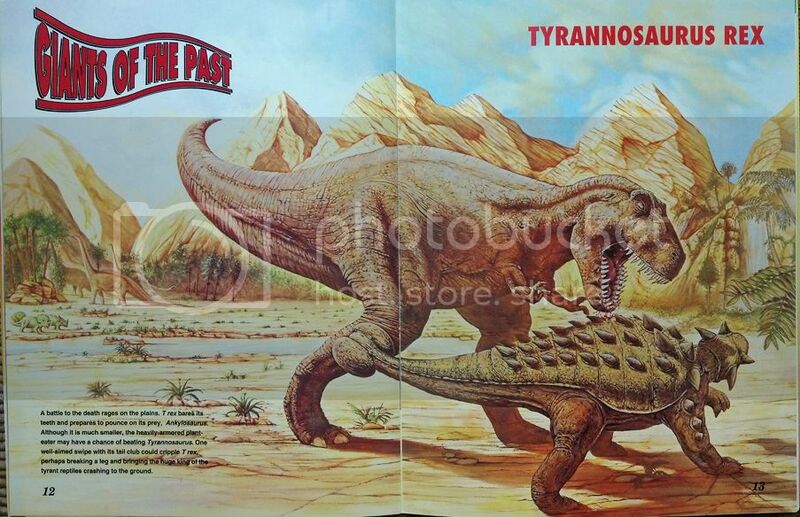 This is why I am a bit wary of those who say ceratopsians only used their horns to fight each other. It’s a big investment in bone growth for females if they are not going to use them. Maybe dual purpose weapons (mating fights, and fending off predators)?